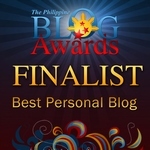 MICAMYX » Personal Blog of a Dagupena Dreamer » Archive » Metrobank Credit Card User? Get Your Free Greenwich Treat! Cool isnâ€™t it? 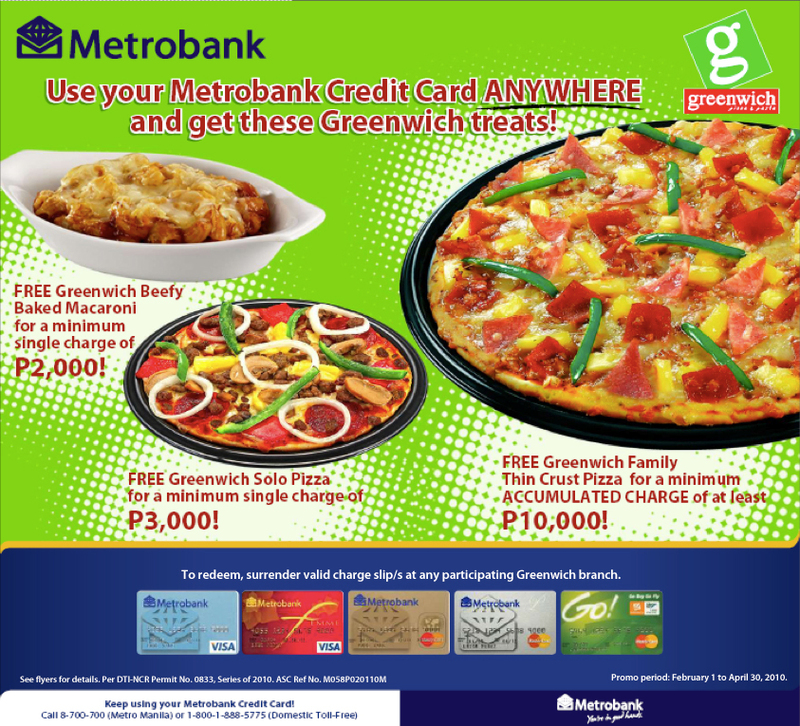 If you are a Metrobank credit card holder, you have to convince your family, friends and co-workers to eat lunch or dinner at the nearest Greenwich plans and donâ€™t forget to claim the receipt! Good deal, right? It seems like Metrobank is gearing up to collaborate with more establishments as their Metrobank Card Promo Page is updated with new deals.Â If you donâ€™t have your own Metrobank credit card yet, I encourage you to go to the nearest branch and inquire. You will never know what Metrobank is brewing next for you! This promotion is open to Metrobank Visa/MasterCard Credit Card, Go! MasterCard, Femme Visa, World MasterCard, and PSBank MasterCard cardholders. Cardholders must surrender their charge slips to get FREE Greenwich Products. Valid spend includes all retail transactions (examples of retail transactions are purchases at groceries, department stores, gasoline stations, restaurants, etc. ), and merchant installment transactions (examples of merchant installment transactions are installment purchase of appliances, jewelry, etc). Online or internet credit card transactions are excluded from this promotion. To redeem the free Greenwich products, cardholders must surrender theirÂ original valid charge slips, and present their Metrobank Visa/MasterCard Credit Card, Go! MasterCard, Femme Visa, World MasterCard or PSBank MasterCard at any of the participating Greenwich branches. Name and card number on the charge slip must be the same as the name and card number on the Metrobank Visa/MasterCard Credit Card, Go! MasterCard, Femme Visa, World MasterCard or PSBank MasterCard Credit Card presented. Transaction date of the surrendered charge slip must be within the promo period. Unreadable charge slips are not valid for redemption. Cardholders must redeem Greenwich products using their charge slips before they fade. Promo period is February 1 to April 30, 2010; redemption period is fromÂ February 1 to June 30, 2010. Cardholders can avail a maximum of three products per day. Redemption will not be allowed on the following dates: February 14, April 1, and April 2, 2010. Should it be proven that a cardholder was able to redeem Greenwich products without adhering to the above mechanics, the cost of the Greenwich products will be charged to the cardholder’s credit card account.